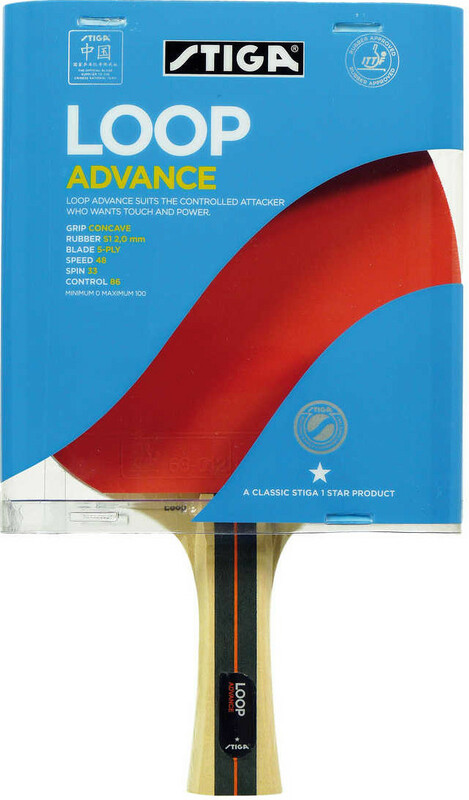 Table tennis racket Stiga Loop Advance is the optimum choice for people who like to play offensive. Equipped with ACS system. Coated with special light cladding that adds control and allows to combine speed with flexibility. A hollow grip, greatly reduces the weight, allowing to increase the speed of movement. Balanced weight of the racket, so to maximize the power of impact.